As we celebrate St David's Day, the patron saint of Wales, find out more about Welsh language, culture and society with our great range of learning resources. By Self (Own work) [CC BY-SA 2.5], via Wikimedia Commons under Creative-Commons license As we celebrate the patron saint of Wales, why not learn more about Wales’ language, culture and society with our great learning resources? Wrth i ni ddathlu nawddsant Cymru, beth am ddysgu rhagor am iaith, diwylliant a chymdeithas Cymru gyda’n hadnoddau dysgu rhagorol. Find out more about St David with an article by Dr Richard Marsden. Take the challenge and view stories from the people of Wales with our interactive Hafan. Explore culture and society in Wales with more free resources. Discover law and business in Wales with even more free courses. Uncover the story of Wales with our 2012 TV co-production & podcasts. 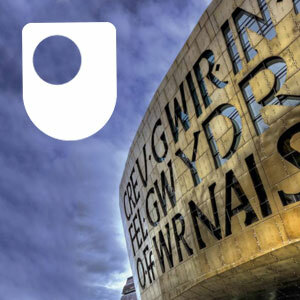 Take it further with the OU & sign up to our 100 hour Welsh course. Try a range of free online courses in English or Welsh with OpenLearn Cymru. Read nowWho was St David? Take part nowHafan: What do you know about Welsh language and culture? Are you interested in learning more about one of Europe's oldest languages? Or would you simply like to brush up on your Welsh? Then look no further. This collection of audio material features a variety of speakers, talking about their interests, holidays, opinions, likes and dislikes. A short historical account can also be found here. There is even a conversation between two people from Patagonia who speak Welsh as their first language. We also look at greetings as well as past and future events. This material is taken from The Open University course L196 Croeso: beginners' Welsh. This free course, Aberdulais Falls: A case study in Welsh heritage, looks at the Aberdulais Falls in Wales, and considers the key issues affecting the decision-making of the bodies which are responsible for looking after our heritage. We examine the heritage debates: who decides what should be preserved from the past as our heritage, who is this heritage for, and how should it be presented and explained? What are the important issues to consider when starting up or running a small business in a rural environment? This free course, Rural entrepreneurship in Wales, will introduce you to some concepts and models that will help you work out what you want to do with your business idea and to consider the impact of living in a rural location. This free course, Introduction to law in Wales, gives a brief overview of the legal history in Wales from the 12th century, followed by an overview of devolution and referendums, the law making powers of the Welsh Assembly and the possible future for legal Wales. Respecting the individuality of each person is a central value of social work but, as the term suggests, social work is not only about individual perspectives: it also takes place in a social context. Society, demography, geography, national legislation, national policy, and language all play an important part, both in the lives of service users and carers and in the practice of social work practitioners. This free course, An introduction to social work in Wales, will introduce you to the importance of recognising that social work practice happens in context. In particular, you will learn about what this means for social work in Wales in the Welsh context. 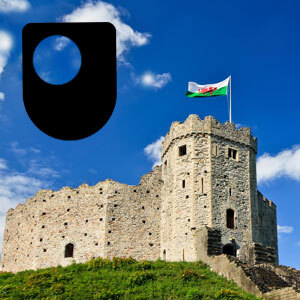 Explore podcasts on iTunes U from our OU/BBC partnership production The Story of Wales. This series, presented by Huw Edwards, tells the story of Wales from pre-history to modern times - from Iron Age hillforts and the massive Roman presence in Wales, to Hywel Dda’s uniting of the country under one law and the battles of Welsh leaders like Llywelyn and Owain Glyndwr with Norman and English kings. It also explores Welsh at the heart of the Tudor court, takes us through change in the country as coal mines and iron works flourished — with technological and educational innovations putting Wales ahead of the world in the Industrial Revolution - and climaxes with devolution and the creation of a Welsh Government. In addition to the heroes and battles, the series reveals how so often, through the turbulent centuries, Wales has been at the cutting-edge of change and innovation. Sequence under Creative Commons BY-NC-SA 4.0 license Hafan: What do you know about Welsh language and culture? By Wolfgang Sauber (Own work) [GFDL or CC BY-SA 3.0], via Wikimedia Commons under Creative-Commons license Who was St David?